The Koh Gen Do Maifanshi Moisture Foundation is a liquid HD mineral foundation with two types of light reflecting powders to diffuse lines, pores and uneven surfaces. It is supposed to be long wearing and non-drying. I saw this on HauteLook for half off and was unfamiliar with the brand so I did some checking and found that their website claims to test in vitro rather than on animals and this brand also appears on the MyBeautyBunny safe list, so I took the plunge. It comes in twelve shades, most of which are for pink, fair skin, but I chose shade 112 which is described as a natural light ochre for yellow tones. Now, my skin is neutral but if I have to choose pink or yellow, it’s always going to be yellow. As you can see, it comes in a tube. The little hole in the end of the tube is super tiny, which I love. It makes it easy to get the right amount of product out without over squeezing and wasting it. The color is perfect for me now, but will not carry me into summer. The first day I tried this with my flat foundation brush (Lancome or Estee Lauder, they’re interchangeable for me) and it was ok. It was just mediocre which made me happy I didn’t try this at full price. The next day I tried it with my flat kabuki (Sigma F80) and it was a completely different product. The coverage is so buildable, you can take it from medium to full in no time and the finish is completely flawless. It’s very close to being matte, but not quite. It’s matte-natural I suppose. This lasted through an entire day of getting my hair done, lunch, shopping, dinner, shopping, in and out of many places and no touch ups needed. I didn’t even feel it on my face and it looked like I was wearing no makeup yet was completely flawless. I literally love this stuff! 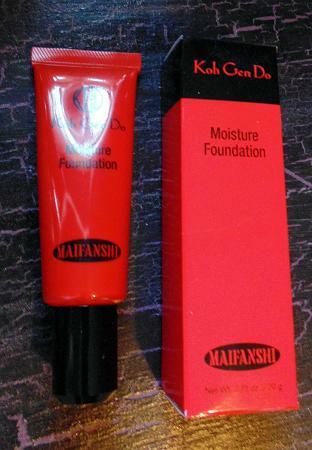 The trick to using this is treating it as a full coverage foundation and applying it as such. You need to build this up to really see its full potential. I have used it for several days in a row and have had no skin issues arise from using it. Although the price tag is rather hefty, I do see myself purchasing this in a darker shade for summer. I don’t often find full coverage foundations I like at all let alone ones that look this good all day and feel amazing. It’s definitely at the top of the list as far as quality is concerned and I’m hoping to see it on HauteLook again so I can stock up. Cost: $62 for .71 oz. A quick thought on the Sephora Color IQ System. The Color IQ matching system is a new feature on the Sephora website that is supposed to match your foundation color to all the brands they carry simply by entering the current shade you are wearing. For example, if I wear Clinique Even Better in shade Beige, I enter that in the system and it will bring up all the other brands/lines that should also match my skin. It does not work. At all. The colors that came back for me were way off, and I know this because I try just about everything for review purposes, and to see if I happen to find anything better than my current fave. I find that I am generally between two and three shades into the color scheme, depending on how many colors a brand offers, but this Color IQ is pulling shades that are way at the other end of the spectrum, for someone way darker than I could ever get even with a deep tan. I find that it will generate results based on the names of the colors, not the actual colors themselves. And forget cool/warm/neutral. It does not take this into account either. 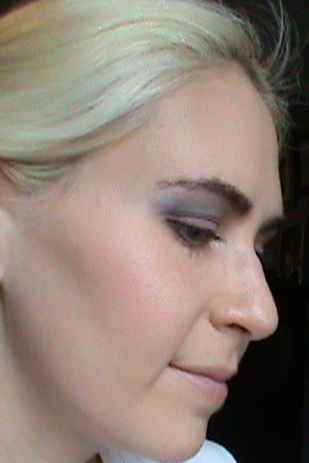 I tried it with Make Up For Ever HD shade 120 and had the same problem. It only allows you to select brands they carry, so you’re out of luck with using it if you wear MAC or Chanel. If Sephora is trying to prevent returns because of color match issues, this is only going to exacerbate the problem! So, my point is, please do not rely on this to select a shade for you. Order what you think will work best and utilize the free returns option if you need to exchange it, or of course just go to a store to be matched if you have one close to you. 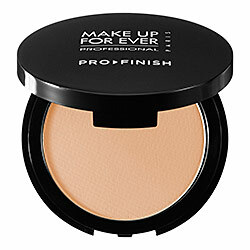 Make Up For Ever Pro Finish Powder Foundation can be applied wet for sheer, semi-matte finish or dry for full, matte coverage. It comes in 25 shades and promises to be long-wearing, flawless and non-drying. I was not a fan of the HD liquid foundation from this company, and I think this compact is much better. The coverage and durability far surpass the liquid HD version in my opinion. Does anyone have any suggestions on good compact foundations for dry skin? What kind do you use? Cons: No quicker than using liquid. Cost: $36 for .35 oz. This is an all in one eraser, brightener and corrector with a radiant finish. It is available in nine shades, ranging from 00-7. I tried 1, Rendezvous. Although it looks grayish pink on all the advertisement swatches, the color is actually a creamy beige, similar to my natural skin. The color matched well. This is super smooth and applied nicely with my concealer brush with no creasing or clumping. It really looked great, and did all that it claims to do…for about two hours. After that I started noticing the product was sheering out. It got worse over the course of the day until it looked like I had not used any concealer at all by noon. The area around my nose became splotchy. It looked as though it went away from my pores, which accentuated them. I had high hopes for this at first and thought it was leaning toward HG status until I did a check after a few hours. Boo. Cost: $39 for .08 oz. 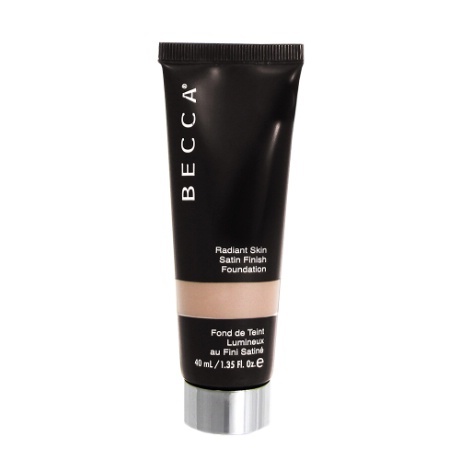 The Becca Radiant Skin Foundation is a medium coverage foundation that is meant to leave a smooth, natural finish on all skin types. This comes in 17 colors, and I tried Sand and Buff. The wide range of colors means there is little difference between shades and both of these matched me well. There was no smell to this and it was fairly thick, not super easy to work with but I wouldn’t say it was difficult either. I tried this with my Sigma F80 brush for a heavier coverage and did not like it at all. I could feel it on my face through the entire day and it made my skin feel tight, like it would be meant for oily skin instead. When I rubbed my finger across my face, a glob of the foundation came off onto my finger. I tried this again with a Lancome flat foundation brush and it gave a much lighter application, but I would still say it looked like medium coverage. Although it did not pill off when I touched my face this time, my skin still felt tight and I really wanted to get it off my face. I normally wash my makeup off at night before my shower, but I took this off as soon as I got home to get relief. I was conscious of the fact that there was something on my face the whole day, which I can honestly say, I don’t think I’ve ever really felt that way before. The claims of a satin finish and not settling into lines are accurate. Cost: $42 for 1.35 oz. Get Glamour Harvest in your inbox!